Hebei – meaning ‘north of the river’ (in this case the Yellow River) – is located on the Bo Hai Gulf of the Yellow Sea. It is bordered in the northwest by the Inner Mongolia Autonomous Region, Liaoning to the northeast, Shandong to the southeast, Henan to the south and Shanxi to the west. 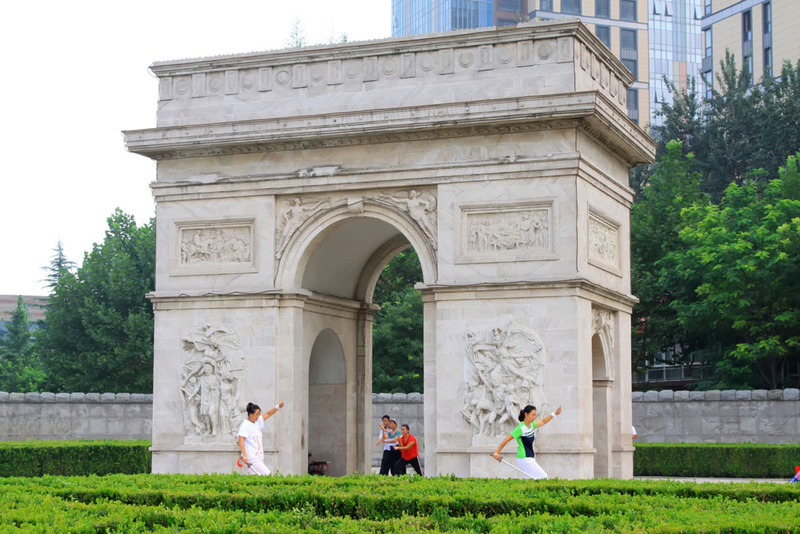 Its capital, Shijiazhuang, is located about 280 kilometers southwest of Beijing. Beijing and Tianjin Municipalities have been cut out from the Hebei’s territory and are now both run as independent province-level administrative units. A strip of Hebei-administered territory runs between Beijing and Tianjin. At an area of approximately 190,000 sq km, Hebei is slightly smaller than Senegal. Between 1923 and 1927 a group of fossil specimens was unearthed at a cave system at Zhoukoudian near Beijing. These fossils – later named Peking Man – suggest that humans have been living in the Hebei area as early as 680,000–780,000 BCE. More recently in Hebei’s pre-history, a neolithic village dating from 7000 and 8000 BC has been discovered at an archaeological site at Beifudi. Hebei’s recorded history has been marked by periods of fragmentation and unification as China’s imperial courts and as various northern nomadic tribes vied for control of the area. 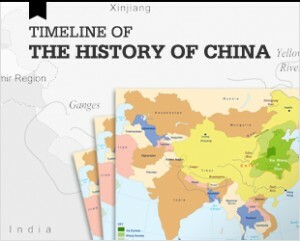 During China’s Spring and Autumn Period (770 BCE-453 BCE), for instance, Hebei was under the rule of several tribal states including the Yan in the north, the Jin in the south, and the Di in Hebei’s central region. Hebei was further divided during China’s Warring States Period (453 BCE – 221 BCE), when the tribal Zhao took much of Jin territory for itself. The Chinese Qin Dynasty (221-206 BCE) finally unified the territory that makes up Hebei today and brought it under Chinese imperial jurisdiction for the first time. The subsequent Han Dynasty (206 BC – AD 220) adopted the policy of dividing Hebei into two provinces and then heavily garrisoning them with imperial troops. Yet, despite this military buildup, by the end of the Han Dynasty northern tribes again conquered the region. It wasn’t until the Sui Dynasty (581-618), over three hundred years later, that the Chinese imperial court retook Hebei from the northerners. The Tang Dynasty (618–907) gave Hebei its north-of-the-Yellow-River name before using it as a starting point for campaigns launched against Korea. In 755, however, the amassing of troops in Hebei backfired when the Hebei-based Chinese General An Lushan declared himself emperor of northern China and established the Yan Dynasty as a rival to the Tang. The resulting An Lushan Rebellion caused a huge loss of life and wide-spread devastation in Hebei. It also seriously weakened the Tang dynasty, and led to their loss of control of the province. In the next centuries Hebei was ruled by a series of northern-based nomadic dynasties, including the Khitans, the Jurchens and the Mongols. When the Mongols succeeded in conquering all of China in 1279 and formed the Yuan Dynasty (1279-1368), Hebei returned under the dominion of the Mongol-ruled Chinese imperial court. During this period, Hebei was not granted provincial status but instead fell under the control of the Mongol capital at Dadu. When the Yuan Dynasty fell, the Ming Court (1368-1644) continued the practice of ruling Hebei under its capital, this time Beijing. The Ming Court called the Hebei territory ‘Northern Directly Ruled’ (Beizhili) in contrast to the ‘Southern Directly Ruled’(Nanzhili) which was comprised of today’s Jiangsu and Anhui. When the northern Manchus took China from the Ming Dynasty and formed the Qing Dynasty (1644-1911), Hebei was called simply Zhili or ‘Directly Ruled’ and its territory was expanded to include a large area of what is now Inner Mongolia. When the Qing Court fell in 1911, Hebei (so renamed in 1928) nominally came under the rule of the Republic of China (1911-1949). In reality it was ruled by a series of warlords, the last being Yan Xishan. In 1937, the Japanese invaded China and took Hebei from Yan Xishan. Japan then ruled Hebei through a puppet government formed of Chinese collaborators until 1945 when the territory was once again surrendered to the Republic of China. During the Chinese Civil War that immediately followed, the Kuomintang, the party governing the Republic of China, held Hebei until 1949 when it was finally conquered by the communists. During the first decades of communist rule, there was some shifting of Hebei’s borders and its capital. By 1967, however, after Tianjin was removed from Hebei’s jurisdiction, Hebei assumed the shape it has today with Shijiazhuang as its capital (one of only two provincial capitals that have a three-character name). On July 28, 1976, Hebei’s city of Tangshan, located close to the Bohai Bay coast north of Tianjin, was hit by an 8.2 Richter scale earthquake. The Tangshan earthquake is considered the deadliest earthquake of the 20th century with over 240,000 people killed (although other reports indicate that the death toll could have been as high as 640,000) and with another 164,000 people being severely injured. The industrial city of almost 1 million people was effectively levelled during the disaster. 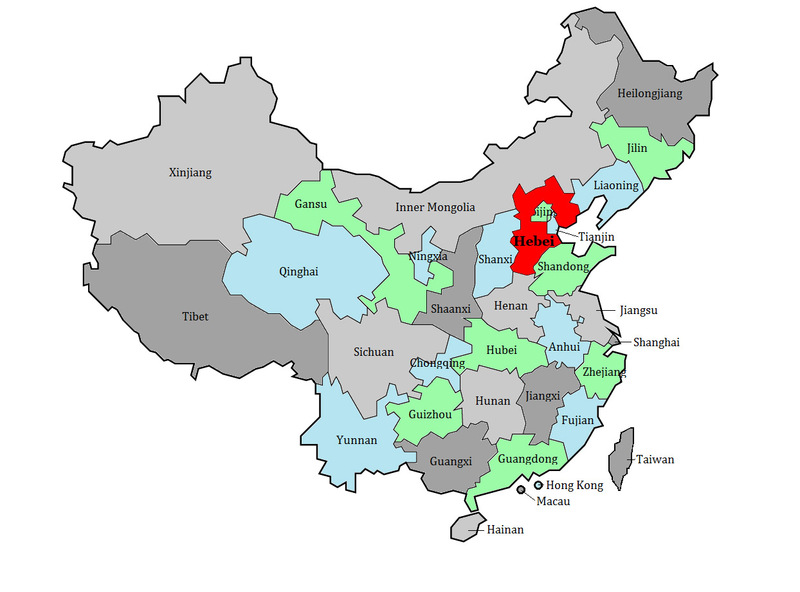 Hebei has a population of over 73 million people. A little over 95% of the population is Han. Hebei’s largest ethnic minorities are the Manchu, the Hui, Mongols and Zhuang. Most of the population is concentrated in the southeastern part of the province away from the mountains of the north. Interestingly, Hebei is home to China’s largest Roman Catholic population with almost 1 million officially registered church members. 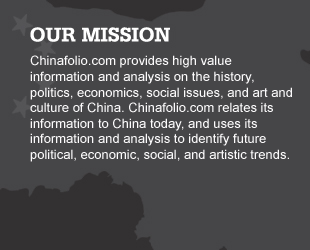 Hebei’s GDP exceeds $478 billion and is growing rapidly. Agriculture plays a huge part in Hebei’s economy. Approximately 40% of its workforce is engaged in the agriculture, forestry and animal husbandry sectors. Much of the production resulting from these industries is shipped to feed the large urban populations of Beijing and Tianjin. The province’s main crops include wheat, corn, millet, sorghum, cotton, peanuts, soy beans, sesame, potatoes, hemp, beets and tobacco. Hebei also raises horses on its pastoral land north of the Great Wall as well as goats, sheep, poultry and pigs. Aquaculture is practiced both at areas such as Baiyang Lake and along its rivers and a coastal fishing fleet harvests from the Bohai Gulf. Industrially, Hebei benefits from a large coal belt which has been the catalyst for the development of a large coal mining operation. This coal production has helped fuel the industrial development in the Hebei-Beijing-Tianjin area. The 1960 discovery of oil and gas in the Huabei oil fields caused the province to become one of China’s most important oil producers. 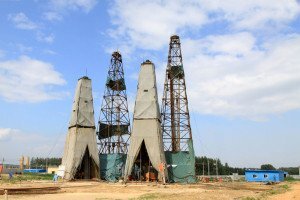 The 1980s drilling of the Dagang oil field on the Bo Hai coast brought new reserves of oil and gas online. Most recently, oil reserves have been discovered under the continental shelf extending into the Bohai Gulf. Hebei’s industrial economy is largely dominated by iron and steel manufacturing with the smelting and pressing of ferrous metals accounting for almost 29% of industrial production. This is followed by the production and supply of electric power and heat, the mining and processing of ferrous metal ores, the processing of petroleum, the production of chemical raw materials and products including fertilizers, the manufacture of transport and agricultural equipment, and coking. Light industries include textiles, ceramics, food processing, paper and flour milling. Recently, Hebei has made investments to diversify its economy away from heavy industry to high tech manufacturing, logistics and tourism. In order to facilitate this transition, the province is spending on the expansion and improvement of its infrastructure network. The plain is surrounded by the Yan Mountains to the north, the Taihang Mountains to the west, and the Bo Hai Gulf to the east. The Yan Mountains undulate across the north of Hebei in a cascade of rounded hills whose crests average 1,500 meters. Almost all Hebei’s rivers eventually run into the Bo Hai. The Bo Hai is a shallow inlet of the Yellow Sea with average depths of only 30 meters. The water and nutrient dispelled from these rivers help support the Bo Hai’s abundant marine fauna. Along the Bo Hai, Hebei’s coast is 487 kilometers long. 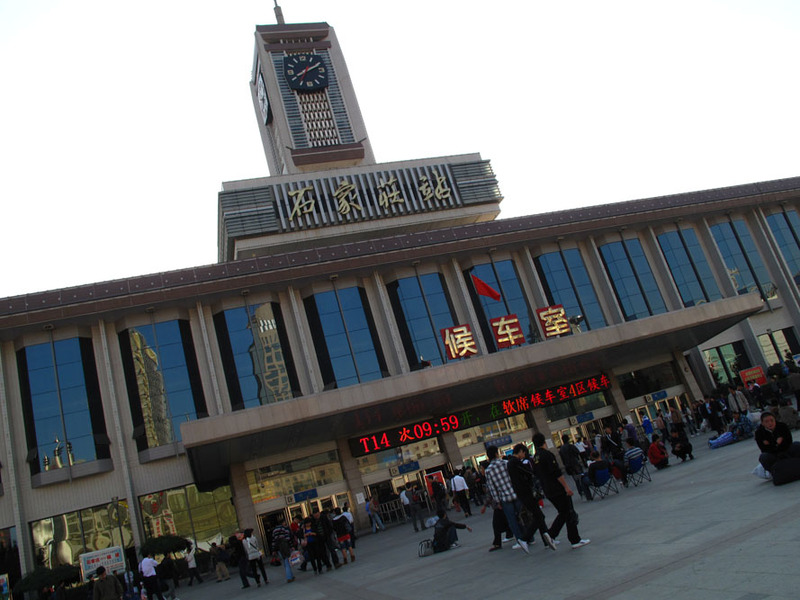 Shijiazhuang is a typical rapidly developed modern Chinese city that is a better transport hub than it is a place to visit. Its Hebei Provincial Museum still lacks a full range of exhibits. Nearby Zhengding, on the other hand, offers a chance to visit the gates of the old walled city and to explore an array of temples. The Longxing Temple, also called the big Buddha Temple, was built in 586 and showcases a number of halls replete with many statues of Buddha and other religious figures, frescoes detailing Buddha’s life and beautiful wooden carvings. The Tianning temple – built first during the Tang Dynasty – is an octagonal, nine-eaved, spire-topped pagoda; it cannot be climbed. The Kaiyuan Temple was first built 545 AD but was largely destroyed during the Cultural Revolution with the exception of the Bell Tower, its stone Xixi entrance statue and the Xumi Pagoda. The Linji Temple is still an active Monastery today and is known for its Chenglin Pagoda. Inside its halls are found statues of Sakyamuni, Puxian astride and elephant, Wenshu on a lion and Guanyin. The Guanghui Temple has a lovely carved Pagoda displaying many animal creatures. Southwest of Zhengding, the well preserved Yujiacun Village is a clan village where almost all residents share the last name Yu. Built during the Ming and Qing Dynasties, the village is almost entirely stone including the furniture inside its courtyard-styled stone houses. One of the most unusual of the buildings to explore is the Qingliang Pavillion purported to have been built at night by one man whose intention was to see Beijing. Built with no mortar and varying stone sizes it has an odd, slightly crazy look that probably was reflective of the architect’s mindset during its 16 years of construction. Surrounding the walls is a remarkable collection of temples built between 1713 and 1780; most were designed for diplomatic as opposed to religious reasons often hosting dignitaries such as the sixth Tibetan Panchen Lama. These shrines include the Puning, Putuozongcheng, Sumeru, Pule, Puyou, Guangyuan, Anyuan, Puren and Shuxiang Temples, most of which are open for exploration. 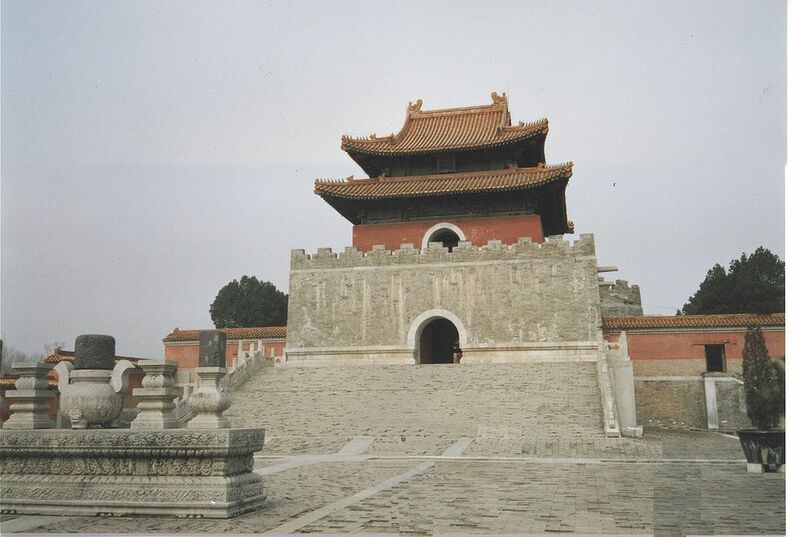 South of Chengde at the sea, Shanhaiguan is where the Great Wall reaches the BoHai Gulf. 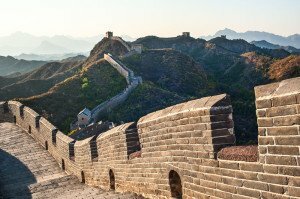 The Great Wall can be seen at the First Pass Under Heaven or East Gate which is crowned with its 13.7 meter watch tower. 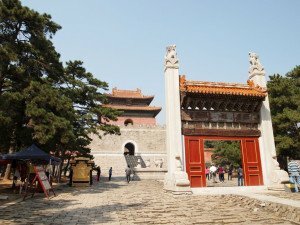 The History of the Great Wall can also be taken in at the Great Wall Museum which showcases its development through time. The rebuilt Old Dragon Head marks where the wall ends at the sea. Jiao Shan provides an invigorating hike to where the wall snakes across its first crest. The walled town of Jimingyi in the northwest of the province was one of the many postal towns used as a stopping off point for imperial messengers to convey imperial edicts throughout the Chinese empire. Often protected by soldiers, these imperial postal towns allowed government messengers to berth for the night or to change ponies as needed. It is possible to walk along Jimingyi’s City walls. Inside the walls, the Taishan, the Caishen Miao, the Longwang Miao and the Confucius Temples are all worth a visit. It is also worth strolling Jimingyi’s streets to view the historic courtyard houses. Changyanshan was one of the film locations for Crouching Tiger, Hidden Dragon. 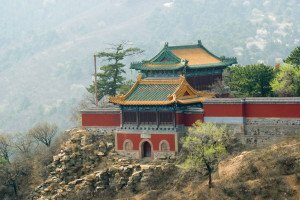 Its highlight is the Sui Dynasty Hanging Palace built halfway up a steep gorge. On the trail leading past the palace to the top of the gorge can be seen scattered shrines and pagodas. At the top is a recently constructed temple. About 2 kilometers from Changyanshan is the 1400 year old Zhaozhou Bridge, the world’s first segmental bridge. Its posts are decorated with dragons and other mystical creatures.